Which fishing line is better for the trout spinnig ? It is a question being asked to whomever will practice spinning in Lake or stream, Let's find a definitive answer ! Punteggio : (voti 5, media punteggio 4.40 su 5) ... Aggiungi il tuo voto ! 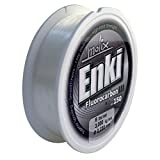 1 – At comparable tensile strength, has a thinner diameter than monofilament so better spill from the spool of the reel, If using reels with crisscross coils storage, otherwise you should not. 2 – Risente pochisssimo dell’effetto memoria una volta immagazzinato in bobina. 3 – His stretch is very low and the via ferrata is immediate; hooks or treble hooks easily penetrate the artificial because the effect of ferrata is not cushioned by lengthening of the wire. 4 – Must be replaced after a fishing period longer than the nylon. 1 – Less abrasion resistance compared to nylon. If you fish with rotating verges on the bottom, the braid will wear very quickly. 2 – It is recommended the use of reels with crisscross spire spooling, in such a way that, during the launch phase, the braid can escape from Whirlpool smoothly, avoiding the formation of “wigs”. 3 – The absence of stretch can cause problems in combat with large prey. 4 – The Braid is abrasive and should l ’ use on hard stone rings, preferably in SIC. 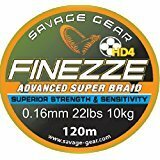 5 – The cost of braided line is higher than that of nylon. The optimal combination for spinning, especially in the Lake, would be to use a braid with final in fluorocarbonutilizzato as shock leader, in modo da assorbire lo stress nei combattimenti con grandi ciprinidi o lucci. Lake Trout fishing spinning and especially in Creek, recommend good nylon made with constructive method optimized for this fishery, and then with little memory effect, low elongation and good resistance to nodes. Recommended wire models : Molix ENKI Nylon, Berkley Trilene Fluorocarbon, Shimano Aspire Fluocarbon, Shimano Ultegra Fluorocarbon. –power of light diffraction near the water. Simply put the yarn is less visible to fish. This would be true if the fish they saw with us, but actually how do fish know very little, so there is no rebuttal of this quality. –insensitivity to ultraviolet. Absolutely true. The fluorocarbon does not change its characteristics if exposed to light, factor that, on the contrary, is very sensitive on nylon. 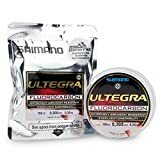 The fluorocarbon so don't '' ages '' while the nylon, in a year or so, has a degradation of the resistance by approximately 20%. –does not absorb moisture. True, the fluorocarbon does not change its characteristics in water, While the nylon '' drink '' moisture and you change, becoming softer, but also less durable. –It is much more resistant to abrasion of nylon. Absolutely true. The fluorocarbon has an area much more '' takes '' of nylon. 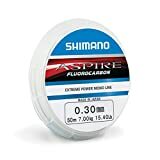 Prova per esempio a stringere dei pallini di piombo sul fluorocarbon. You will notice how difficult it is to fix them and how to flow or skip away much more easily. –è più resistente al nodo. It is a consequence of the previous property. The fluorocarbon loses around 5-10% depending of the nodes, While the nylon loses from 15 to the 20%. –the fluorocarbon sinks more easily. True, because its specific gravity is greater than the nylon. Then the presentation of the bait is more natural, Since going down with lead and does not follow. On the reel the fluorocarbon currently view limits. It is indeed generally stiffer than nylon and then tends to have more memory on the spire. This is the major flaw, and that's why we recommend it as the final combined with braid.